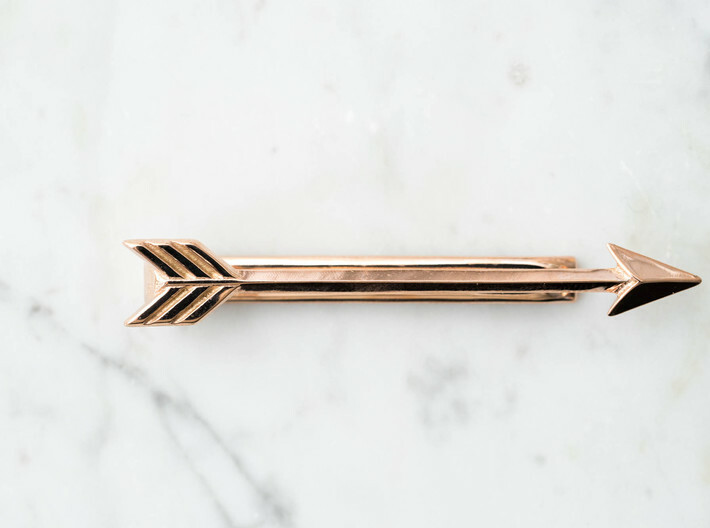 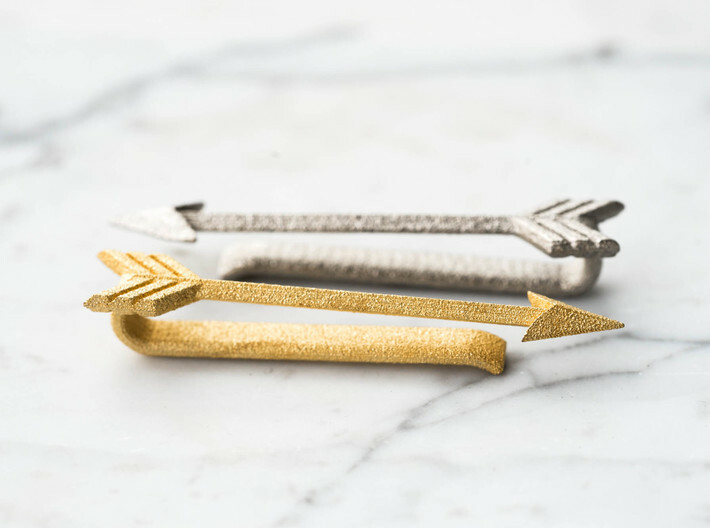 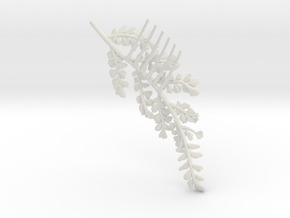 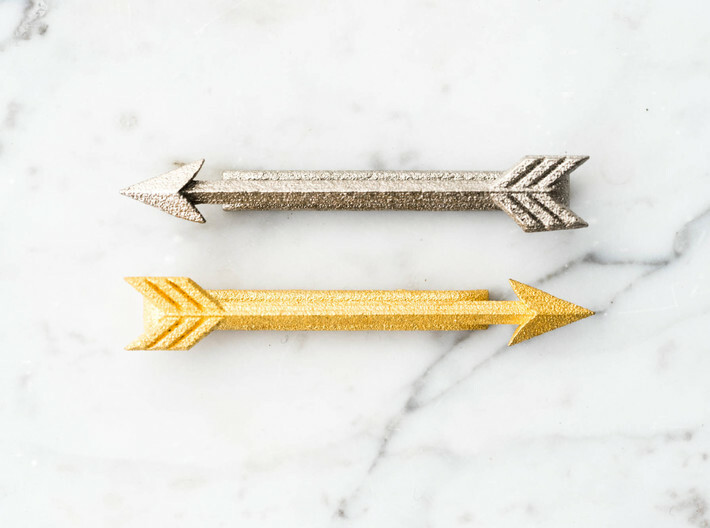 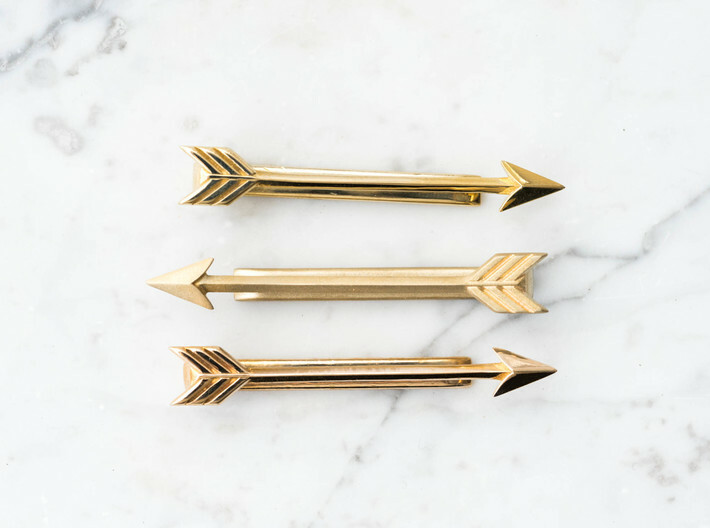 This streamlined arrow will draw plenty of attention on its own- but once you mention that it's 3D printed, every one will want to take an even closer look. 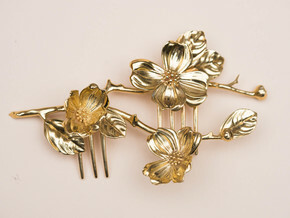 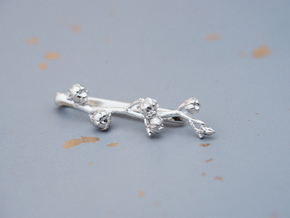 It makes a perfect groom or groomsmen accessory, but it's also subtle and refined enough to wear on an everyday basis. 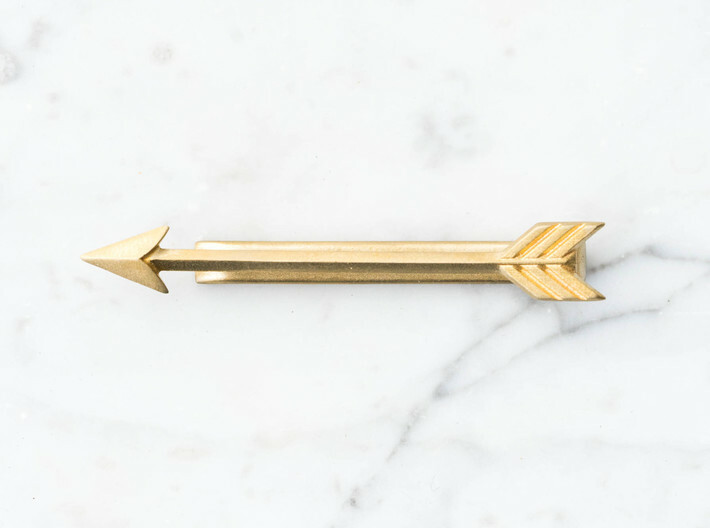 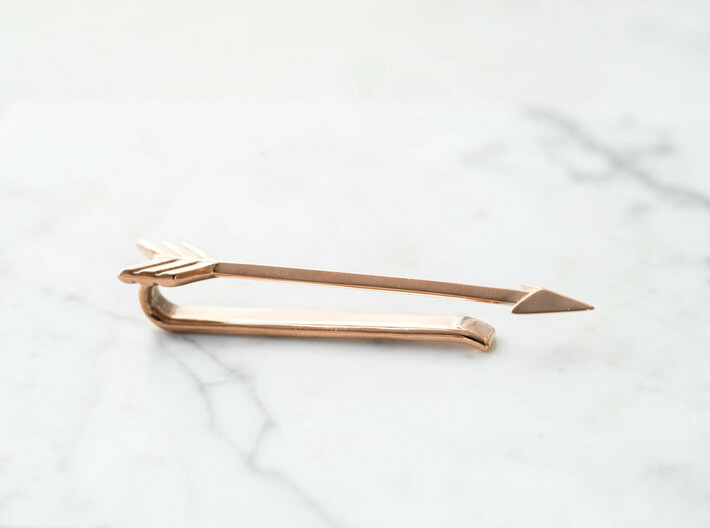 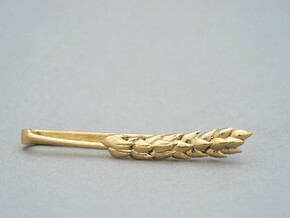 Measuring approximately 1.75" long, the arrow tie bar is the perfect proportion. 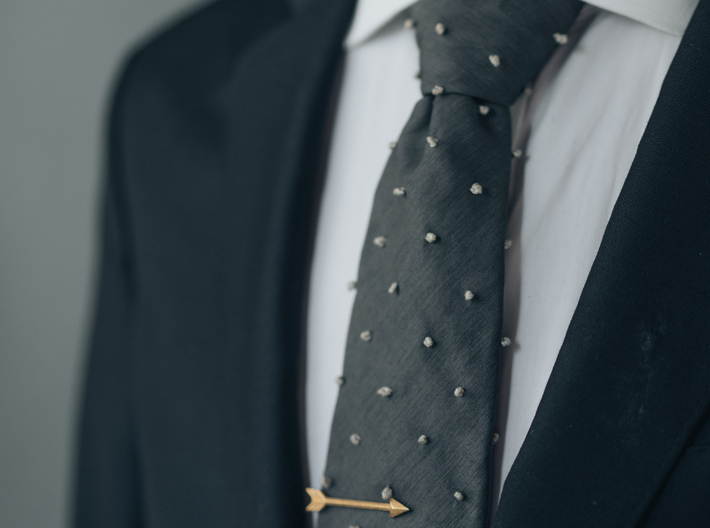 It looks great on both skinny ties and more classic widths. 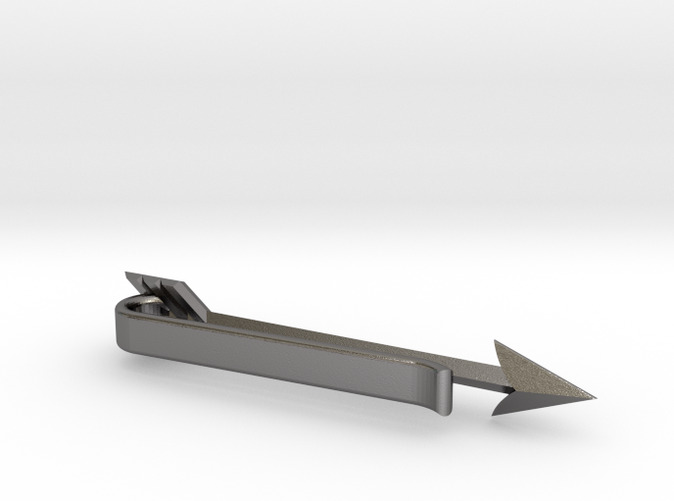 The metal is very slightly adjustable- we recommend not bending the piece too frequently to retain the integrity of the metal.